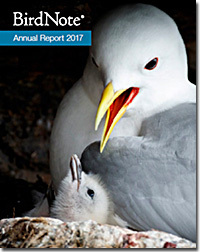 Every day, BirdNote brings moments of joy, learning, and inspiration to listeners around the world, while building widespread awareness of birds and conservation. 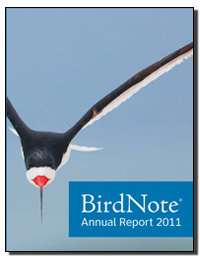 Thank you for investing in the future of the natural world by supporting BirdNote. 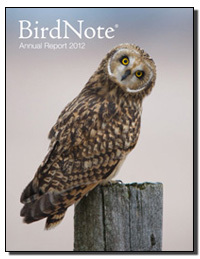 This annual report is a celebration of the difference that you — our donors, volunteers, advisors, listeners, and advocates — make for birds by supporting BirdNote’s voice for conservation. 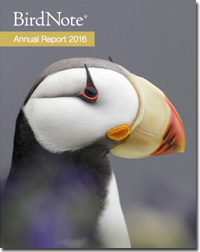 View 2017 report as a PDF, or view on Issu.com. 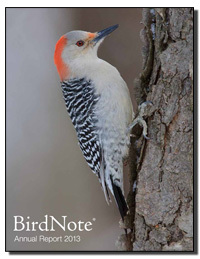 BirdNote stories are educating listeners of all ages — and inspiring them to care about the natural world. You make this possible. 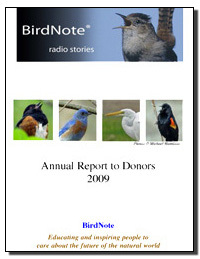 BirdNote is an independently produced and funded radio program, and your investment makes a difference for birds, their habitats, and your fellow listeners. Thank you! 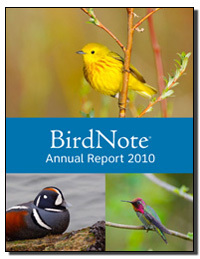 We appreciate your support and your belief in our work. 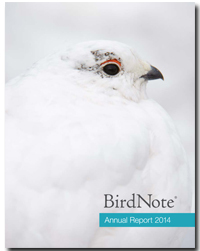 I'm contacting BirdNote about – The fun I'm having listening to you! I so appreciate how much I'm learning from your site. I also admire the clear, vibrant voice in each story; it's a rare feat to match the beauty of human language with the beauty of more-than-human voices. 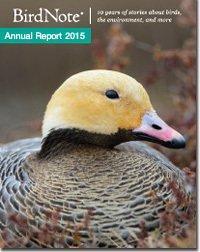 Download Annual Report as a PDF.